Plumbing Services | Brooks Plumbing Co.
There’s a perfectly good reason that your plumbing system’s sewer line is buried beneath your yard. First off, it’s more attractive this way—but that’s not the main reason. Having your sewer line located beneath your property is for your safety and convenience. But unfortunately, when something is out of sight like this, it’s hard to spot problems right away. This makes this portion of your plumbing system more vulnerable to problems such as tree roots searching for a water source. Tree roots are a pretty common reason for sewer line damage and clogs, and they require professional Yelm plumbing services to overcome. As you can likely guess on your own, tree roots crave water. Therefore, all it takes for them to be attracted to your sewer line is a small leak. 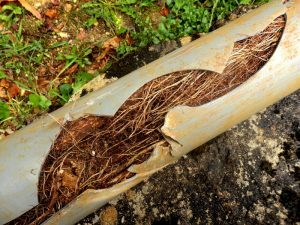 Tree roots, of course, aren’t the only threat to your sewer line, but they definitely are a major one. Winter may not officially be here quite yet, however temperatures have definitely cooled down considerably, signaling that the heating season is certainly here. With that cold weather comes a number of potential issues, from ice on your walkways to keeping your home warm and comfortable for your family and guests. One additional winter challenge that is important not to overlook is that of your plumbing system. While our temperatures typically don’t drop below freezing, it has happened before and could always happen again. With everything you have to think about as a homeowner, burst pipes are certainly not something you want to deal with. So how can you protect your plumbing to reduce the risk of this occurring? What Are You Doing to Prevent Your Pipes from Freezing? While our average temperatures don’t always approach below freezing, it has been known to happen. And as such, it’s important to be prepared and be aware of the problems your home can run into due to this—such as the possibility of frozen pipes. When winter comes, professional plumbers around the country are well prepared for emergency calls in regards to frozen or burst pipes. We are, of course, happy to help with quick plumbing repairs to minimize your inconvenience as much as possible. However, you should know that there are steps you can take to prevent frozen pipes from impacting you at all. Keep reading for more information. 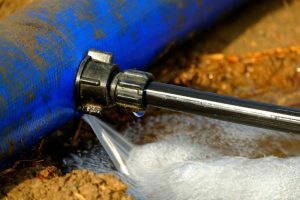 Posted in Plumbing | Comments Off on What Are You Doing to Prevent Your Pipes from Freezing? 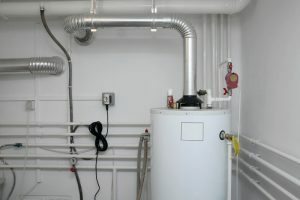 Given how complex residential plumbing systems are, it’s important that you do everything you can to make sure they are working well and not experiencing any troubling symptoms. Springtime is the perfect time to check for any issues, so you can stay ahead of any plumbing problems as the weather warms up. Pay attention to the checklist we’ve shared below and let us know if you run into any issues or concerns.